These beautiful working farms, all within 14 km’s from Nieu Bethesda, offer a home from home stay with the emphasis on comfort and relaxation. 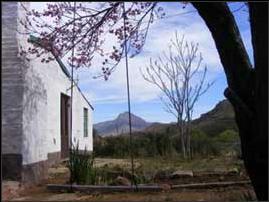 Lying in the heart of the Sneeuberg mountains, Doornberg offers a fully equipped guest house, a stable flat, rondavel or in our beautifully renovated romantic Vlei cottage. 11 km from Nieu Bethesda. 7 km from Nieu Bethesda ~ 3 Star AA Highly Recommended. 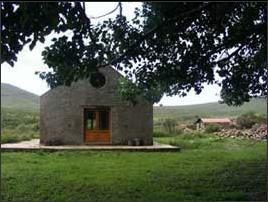 Comfortable cottage perched on the hillside of a working sheep farm only 8 km from Nieu-Bethesda. The cottage is self-contained and sleeps six people. 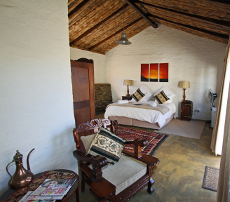 There are 10 on-suite bedrooms in beautifully restored sheep kraals nearby the cottage. Braai area available. Meals can be ordered on the farm or in Nieu-Bethesda if you prefer not to self cater. 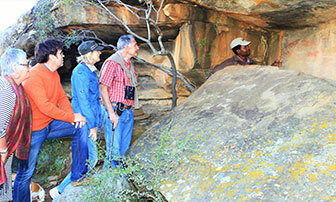 Guided tours to: Bushman paintings, Boer War Engravings, fossil & artefact museum and fossil walk. 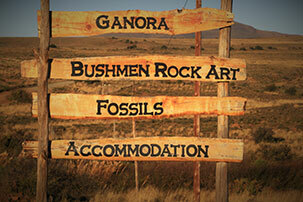 Ganora is ideal for those seeking an active, hospitable stay doing for e.g. hiking, biking & birding or those wishing to relax and unwind. School groups welcome and facilities available for workshops. This working sheep farm offers luxury accommodation in a beautiful setting. 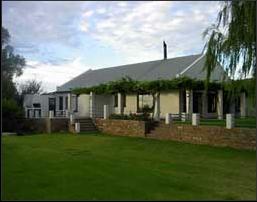 Fully furnished and equipped with braai facilities and a pool. 14 km from Nieu Bethesda. Only accessible by 4 x 4. About 50 minutes from Nieu Bethesda. 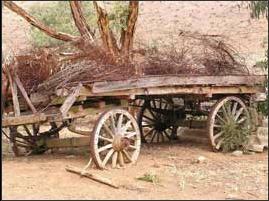 Escape the madness of city living to a rustic converted labourers cottage 25 minutes drive from Nieu Bethesda. Ideal for a couple with or without kids. Meals can be arranged ~ farm meat for sale.